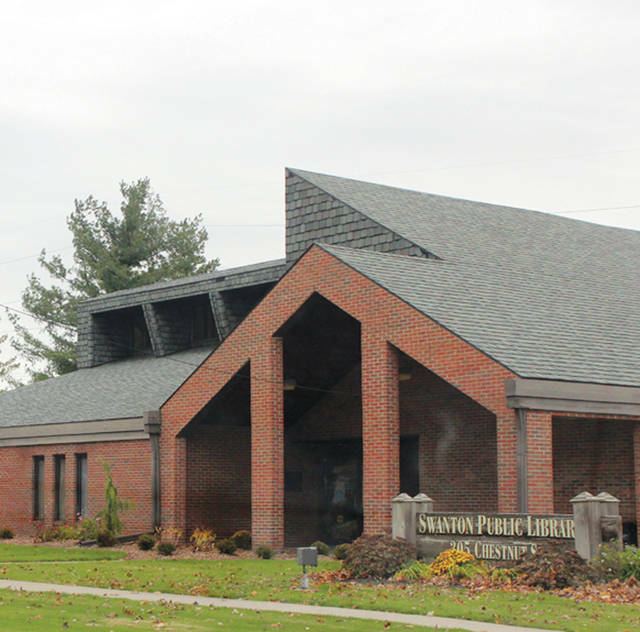 Swanton Public Library has announced its April program schedule. Mixed Level Hatha Yoga I & II: Mondays, April 1, 8, 15, 22, and 29 from 10:15-to-11:45 a.m. These slightly advanced sessions provide an opportunity to expand skill levels. $10 per session. Hatha Yoga Basics: Thursdays, April 4, 11, 18, and 25, from 10:15-11:45 a.m. Donation; proceeds benefit the library. Chair Yoga: Thursdays April 4, 11, 18, and 25, noon-1 p.m. Cost is $5 per session. Note that class times have changed. Scrapbooking 101: Tuesday, April 9, 6:30 p.m. Class covers the basics including an introduction to the tools. This is an informational class; spare paper and other tools will be provided to the curious. There is limited room. Register in-person, by phone or online. Canvas Painting With Donna Mills: Wednesday, April 10, 5 pm. This month, learn to paint Peter Cottontail. The $25 fee includes all supplies. Space is limited. Register in-person, by phone or online. Adult Book Club: Thursday, April 11, 7 p.m. This month’s title is “Feared,” by Lisa Scottoline. No registration necessary for the free program. Titles in multiple formats available behind the desk. Make and Take Craft Night: Chalk Couture, Wednesday, April 17, 5 p.m. Instructor Sam Philip will instruct this farmhouse chic event. A $25 fee includes chalk board, templates, and chalk paint. Space is limited. Register in-person, by phone or online. Senior Assistance with Val: Thursday, April 18, 10 a.m.-noon. Valerie Edwards, Fulton County Senior Center, will take appointments to answer questions on Medicare, senior assistance programs, and insurance, among other topics. It is a free service but an appointment is necessary. Call 419-337-9299 to schedule. Cardmaking, Original Backgrounds: Thursday, April 18, 6:30 p.m. Learn to make backgrounds for cards. Cost is $6 per person. Space is limited. Register in-person, by phone or online. SPL Movie Discussion – “The Blackcoat’s Daughter”: Wednesday, April 24, 7 p.m. The horror film is available to check out for one week, but copies are limited. It can also be streamed through Amazon Prime. It is a free event with no registration required. Swanton Garden Club Meeting: Thursday, April 18, 6:30 p.m. Open to the public. Learn a new gardening topic each month. Ongoing SPL programs include the Chess Club for all levels, Wednesdays at 6 p.m. and Saturdays at 1 p.m.; Knitting Group, April 10 and 24, 6:30 p.m., with crochet enthusiasts welcome; the Writers Group, April 4 and 18, 7 p.m., freelance author Nathan Jacobs and others help polish work of all skill levels. To register for an event, call 419-826-2760 or visit swantonpubliclibrary.org. The library is located at 305 Chestnut St.